Last weekend was the weekend of parties for us! 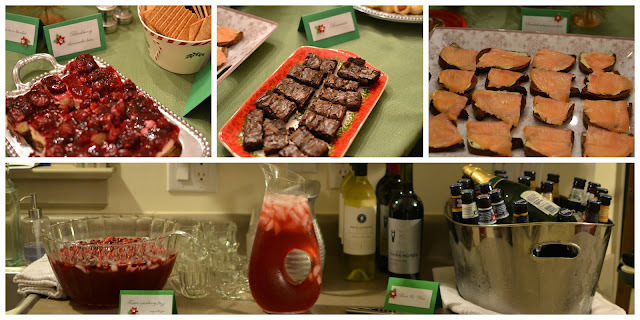 We hosted the dinner club on Friday night for a casual holiday cocktail get together, attended a wedding on Saturday, and then hosted a holiday open house on Sunday. We're featuring a roundup of the dinner cocktail party today and then the holiday open house tomorrow! If you've still got some holiday hosting to do hopefully this will give you some ideas. Doesn't it look wonderful?! We had holiday music playing in the background and enjoyed everyone's company. Knowing we had a party just two days after this one I made sure I was super organized going into the weekend. I tried to do as much prep beforehand as I could. I made a google doc with all the recipes that I would need to be making for the cocktail party and the holiday open house. Then I had a to-do list broken out into each day beginning with Thursday for what I could make ahead and when to do it. Check out the document here (link) if you'd like to check out any of the recipes. Veggies and dip - Mix equal parts of yogurt and sour cream; combine with ranch seasoning packet. I doubled the dip so I could have it for both parties. We served with broccoli florets, carrots, cherry tomatoes, and celery. Chicken salad and crackers - Always good to have some protein offerings at any party! For this chicken salad I took the meat off a rotisserie chicken and shredded it. Then I added a dollop of mayo, spoonful of dijon mustard, handful of almonds, some diced pickles, and salt and pepper. The brownies were a box mix. You really can't go wrong with a box mix for brownies in my opinion. Red velvet trifle - I googled quite a bit and ended up following the recipe from Melissa's Southern Style Kitchen which puts a white chocolate spin on it. Check out the Red Velvet White Chocolate Cheesecake Trifle recipe here (link). And finally there were some blackberry cheesecake bites - This was my favorite dessert! I followed Pioneer Woman's recipe (link)t and it couldn't have been easier. Sounds like so much fun. So organized! Loved this Dinner club cocktail party! It was so amazing. 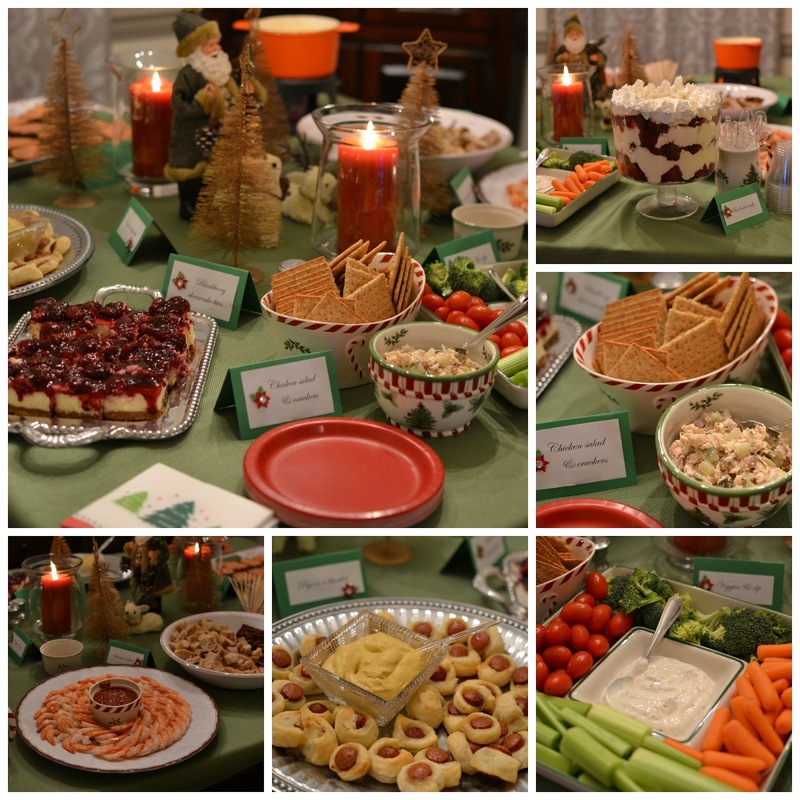 All the party food looks very delicious. I wish I could eat all this right now!! Anyway, at one of the best party venues San Francisco I am going to attend food party pretty soon. Various Thai food ideas will be provided in that event.